Abstract: This paper describes the typical specifications and features of a novel low-cost and high-performance universal transducer interface (UTI). The easy-to-use interface enables fast prototyping of systems with capacitive sensors, platinum resistors, thermistors, resistive bridges and potentiometers. It is shown that a high accuracy and reliability can be obtained by applying a combination of advanced techniques, such as, auto-calibration, advanced chopping and dynamic element matching. Examples of smart sensor system, using the UTI and the popular microcontrollers, Intel 87C51FX and PIC 16C73, have been presented. Abstract: An alternative method to interface a sensor bridge to a microcontroller that does not need any active component between the bridge and the microcontroller. The absolute error for a 15 psi (103.4 kPa) pressure sensor with 5000 Ohm arms and a full-scale output of 125 mV is below 0.05% of full scale, which is better than 1 LSB for an 11 bit ADC. A. Custodio, R. Pallas-Areny, Error Analysis and Reduction for a Simple Sensor-Microcontroller Interface, IEEE Transactions on Instrumentation and Measurement, Vol.50, No.6, December 2001, pp. 1644-1647. Abstract: Two simple methods of reducing zero, gain and nonlinearity errors for sensors with a wide dynamic range are described in the article. 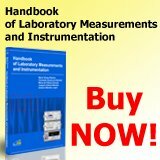 Both methods use time-ratio measurements. The first method uses several reference resistors covering the sensor resistance range; the second method uses two-point calibration. The second method is more efficient and yields errors that can be smaller than 0.5 Ohm for a sensor resistance from about 600 Ohm to 3550 Ohm. P.Cach, P. Fiedler, F. Zezulka, Sensor/Actuator Web Oriented Interface, In Proceedings of the IFAC Workshop on Programmable Devices and Systems (PDS' 2001), Gliwice, 22-23 November 2001, pp.2-5. Abstract: This paper describes data acquisition device that was designed to collect data from smart sensors of temperature, pressure, flow, etc. The device contains an Ethernet interface, a web server and a ftp server so all acquired data can be reached over the Internet. N. Yazdi, A.Mason, K.Najafi, K.D. Wise, A Generic Interface Chip for Capacitive Sensors in Low-power Multi-parameter Microsystems, Sensors and Actuators 84 (2000) 351-361. Abstract: This paper presents a generic low-power sensor interface chip compatible with smart microsystems and a wide range of capacitive transducers. The interface chip is highly programmable, can communicate with an external microcontroller using a nine-line sensor bus standard. The circuit can interface with up to six external sensors and contains three internal programmable reference capacitors in the range of 0.15 - 8 pF. D.P.Lane, Sensor Gateway to Fieldbuses, Sensor Review, Vol.17, No.3, 1997, pp.211-216. Abstract: Describes the modularity and flexibility of the WAGO I/O systems allowing connectivity of sensors and actuators to PLCs and PCs via the major fieldbus systems, and concludes that a modular approach leads to a greater saving in installed costs, installation and commissioning times for factory automation projects. Abstract: Discusses the main concepts of fieldbuses, describes various standards that have been adopted and analyses their various merits. Provides contact details for the different standards. Abstract: The universal sensor interface chip (USIC) represents a complete signal processing capability for data acquisition systems designed to support a wide range of sensor applications. 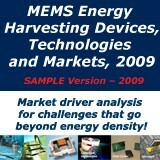 Offers high performance with flexibility and requires only a small number of external components for many applications. G. Ferri, P. Laurentiis, A 1.4 V Oscillator for CMOS Capacitive Sensor Interfaces, In Proceedings of the 12th European Conference on Solid-State Transducers and the 9th UK Conference on Sensors and their Applications, Southampton, UK, 13-16 September 1998, EUROSENSORS XII, Ed. by N. M. White, Institute of Physics Publishing Bristol and Philadelphia, Sensors Series, volume 2, pp. 887-890. H. Baltes, A. Häberli, P. Malcovati, and F. Maloberti, Smart Sensor Interfaces, Proceedings of IEEE International Symposium on Circuits and System (ISCAS `96) , vol. IV, Atlanta, USA, pp. 380-383, 1996. 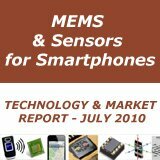 Abstract - The importance of integrated microsystems is continuously growing because of the combination of two trends: the progress of the silicon sensor technology and the introduction of new circuit techniques for designing the interface circuits. This paper reviews the most common issues in smart sensor design in terms of three examples, a UV detection system, a magnetic vector probe and an air conditioning multisensor, which require increasingly complex and sophisticated interface circuits. The experimental results reported demonstrate the effectiveness of the microsystems approach in several application areas. P. Malcovati, H. Baltes, and F. Maloberti, Progress in Microsensors Interfaces, Chapter 4 in: Sensor Update , vol. 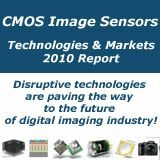 1: Sensor Technology - Applications - Markets , VCH, Germany, pp. 144-165, 1996. 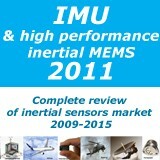 Abstract - The complexity and the smartness of microsensor systems have been increasing over the last years. This is accompanied by the rapid evolution of sensor interfaces. Starting from simple on-site signal conditioning followed by transmission to a remote processor, we are now moving towards full integration of sensors and complex signal processors on a single chip. This evolution is very attractive for compact and portable systems. However, it implies that interface circuits, the most critical part of the processing chain, are exposed to the same physical or chemical quantities that the sensor has to detect. The architectures and circuit techniques used to design sensor interfaces must take this requirement into account. In particular, circuits have to operate at low voltage and low power and systems have to be significantly robust. To achieve commercially viable products it is necessary to meet a number of economic and technical requirements that can only be fulfilled by batch-manufactured systems. This means that conventional integrated circuit (IC) technologies (CMOS, bipolar or BiCMOS) must be used, followed by post-processing steps, if necessary. All these aspects make the design of microsensor systems and, more specifically, of interface circuits challenging. In this chapter we provide indications for the choice of the best architecture and the most suitable circuit implementation. Since the range of possible solutions is very wide, we decided to provide a number of specific examples describing innovative circuit solutions. F. Maloberti, Microsystems and Smart Sensor Interfaces, Proceedings of Norchip Conference , Helsinki, Finland, pp. 122-133, 1996. Abstract - Future integrated microsystems will benefit significantly from progress in the VLSI field. 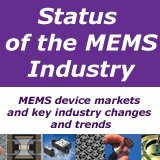 Two key elements will boost the implementation of new micro-integrated architectures: progress in batch-manufactured silicon sensors and the introduction of new circuit techniques for designing interface circuits. These two factors will be essential in favoring the transition from the present "research driven speculations" to "customer driven activities". This paper discusses the key issues for realizing post-processed sensors and the most suitable circuit techniques for interfacing and processing their output signals. A number of examples of integrated structures will illustrate present problems and possible solutions. F. Maloberti, and P. Malcovati, Microsystems and Smart Sensor Interfaces: a review, Journal of Analog Integrated Circuits and Signal Processing , vol.15, pp.9-26, 1998. 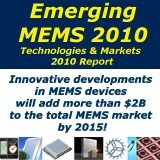 Abstract - Future integrated microsystems will benefit significantly from progress in the VLSI field. Two key elements will boost the implementation of new micro-integrated architectures: progress in batch-manufactured silicon sensors and the introduction of new circuit techniques for designing interface circuits. These two factors will be essential in favoring the transition from the present "research driven speculations" to "customer driven activities". This paper discusses the key issues in realizing microsensors and the most suitable circuit techniques for interfacing and processing their output signals. A number of examples of integrated structures will illustrate present problems and possible solutions. F. Maloberti, V. Liberali, and P. Malcovati, Signal Processing for Smart Sensors, Proceedings of Brazilian Symposium on Integrated Circuit Design (SBCCI `98) , Búzios, Brazil, pp. 141-148, 1998. 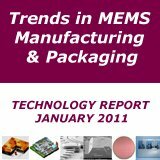 Abstract - Future integrated systems will benefit significantly from the progress in batch-manufactured silicon sensors and signal processing techniques. This paper presents various design examples to illustrate specific problems and solutions associated with front-end electronics, data converters and signal processing functions for smart sensors. Michael G. Corr and C. M. Okino. Networking Reconfigurable Smart Sensors. In Proceedings of SPIE: Enabling Technologies for Law Enforcement and Security, November, 2000. 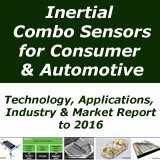 Abstract: The advances in sensing devices and integrated circuit technology have allowed for the development of easily "reconfigurable smart sensor" products. Primarily utilizing commercial off-the-shelf (COTS) components, we have developed reconfigurable smart sensor, consisting of a microprocessor, GPS receiver, RF transceiver, and sensor. The standard serial control interface allows for ease of interchangeability for upgrades in RF transmission schemes as well as customizing the sensing device (i.e. 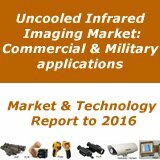 temperature, video images, IR, motion, Ethernet) per application. The result is a flexible module capable of gathering sensor data, local processing, and forwarding compressed information to a central location via other module. In this paper, we present our system infrastructure design and a cost function based geographical self-routing algorithm for networking reconfigurable smart sensors. The algorithm allows for the sensors to automatically negotiate in a geographical radial topology relative to a central location, utilizing other sensors as routes or hops for forwarding information to this central location. A number of these sensors are deployed in the field and performance measurements for routing times are analyzed and presented. Brendan Cronin, Designing Intelligent 4-20 mA Transducers, Sensors Magazine, Vol.23, No.8, August 2006, pp.17-19, 29.